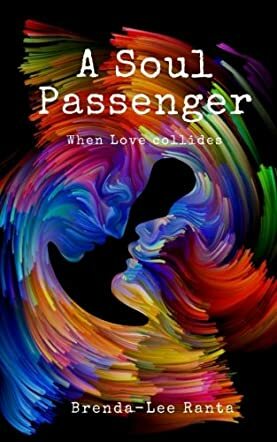 A Soul Passenger: When Love Collides by Brenda-Lee Ranta is a unique love story where readers are introduced to two souls who meet each other just in time and rescue each other from their otherwise hopeless lives. It is a story about survival, self-doubt, and emotional abuse, living through fear, and a struggle with addiction. The book is the autobiographical account of a couple that discovers divine love against all odds, and how they overcome their inner flaws and Karmic hindrances, and finally unite. The story is uplifting as it speaks about living with the soul mirror, loving unconditionally, and accepting every lesson that comes along. The account of what actually happens when love collides is far from romantic, yet at the same time awakens readers to the magnetic energy that pulls them when true love collides. I found the book mystical with spiritual and positive vibes that give peace and awakening to couples while on their sacred union. Brandi and Drew’s meeting and their story are relatable and tangible to readers. I like the way the author has handled the topic of soul mates and how she deviates from the usual method of soul mates meeting and uniting, which is what makes the book an interesting read. The knitting of spirituality, soul connection, and love has been done beautifully, giving readers hope and faith in meeting their earthly soul mates in the due course of time. It is a book for all those readers who long to be loved unconditionally and to find a love that is fulfilling and sacred. A Soul Passenger: When Love Collides by Brenda-Lee Ranta is a story based on Brenda-Lee’s own experiences. A Soul Passenger: When Love Collides starts off with the main character's struggles with her family and we get a glimpse into her home life as well as her marriage. We also learn about her parenting struggles as she copes with moving on from her marriage. In the midst of all this, she meets Drew and they start communicating. Once they eventually meet in person, sparks fly and there is a strong and instant personal connection. However, it is not all smooth sailing as they deal with ups and downs in their relationship, along with issues around addiction and dysfunctional family dynamics. This is ultimately a story of love and healing. A Soul Passenger: When Love Collides by Brenda-Lee Ranta is an interesting read. Although it is a work of fiction, as per Brenda herself, it draws from her own personal experiences and the story is based loosely around her own life. I liked that this is not simply a story of two people meeting or even a love story, but goes deeper than that by delving into the main character's background and her previous relationship as well as family issues. This makes the book more real and relatable. There are also references to alternative healing methods explored in the book, which may be of interest to a reader. Overall, the flowing and casual writing style, along with the real issues like addictions that the story highlights, makes this a worthwhile read.